One of the main differences among soccer balls is how much the air flow follows the ball's surface. 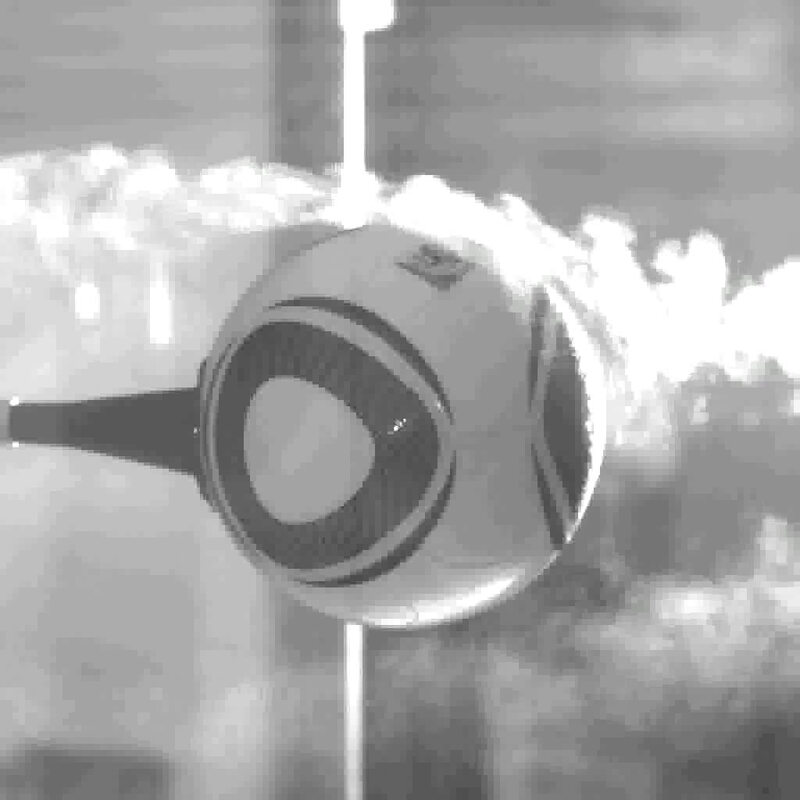 Turbulent air flow would hug the curvature of the ball, reducing drag. In this high-speed video of the Jabulani ball, however, Caltech scientists demonstrate that the air flow actually separates after about halfway across the ball. (PhysOrg.com) -- The World Cup is in full swing, complete with an official new soccer ball named Jabulani, meaning "to celebrate" in Zulu. The players, however, aren't exactly celebrating. Instead, many of them are complaining that the ball's trajectory is too hard to predict, and that the ball itself is too hard to control, resulting in wayward passes, shots flying off target, and goalkeepers looking silly. So what exactly is it about the new ball that's provoking all the controversy? To find out, Caltech engineers in the lab of Assistant Professor of Aeronautics Beverley McKeon put an official Jabulani through its paces in the Lucas Adaptive Wall Wind Tunnel. And what they found there may explain the seemingly unpredictable nature of the Jabulani. To start with, the classic black and white soccer ball, stitched together from 32 panels of pentagons and hexagons, has deeper grooves. The Jabulani, which is made from only eight panels thermally bonded together, has more shallow grooves, as well as tiny raised patterns along its surface. Heavily textured surfaces can result in more turbulent air flow around a ball, which, McKeon explains, reduces drag at the speeds typical of a soccer ball kick and allows a ball to travel farther. (That's the reason golf balls have dimples, for all you putting aficionados out there.) 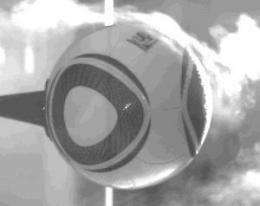 As a soccer ball slows down after it's kicked in the air, the air flow around it changes from turbulent to smooth. It is likely that the details of this transition are different for the traditional soccer ball than for the Jabulani, which from the point of view of a soccer player translates into a ball that's behaving unpredictably. It's also possible that wind, spin, or other influences can have a stronger effect on the Jabulani's trajectory. As the ball hurtles through the air, the varying air flow around it can send it on unexpected paths, to the consternation of many soccer players. Still, the Jabulani isn't so unpredictable that players can't learn to control it. "It seems like anytime the ball is changed, it takes a while for people to adapt," McKeon says. And from a fluid mechanics standpoint, the Jabulani's also pretty interesting. Studying the air flow around soccer balls is a natural extension of McKeon's research, in which she and her colleagues study how surface roughness affects air flow, using spheres as test models. They're looking at how they can control air flow just by changing the texture of a surface. Their work has many applications in aircraft design, for example. The team that conducted the test includes postdoc Michele Guala, graduate student Ian Jacobi, and Melissa Christensen, an undergraduate from UC San Diego working in McKeon's lab this summer.